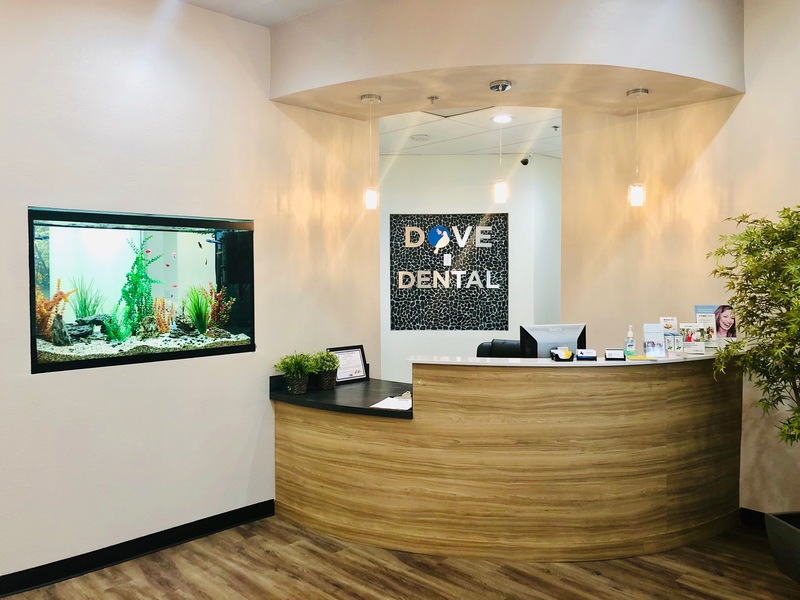 Welcome to Dove Dentistry, your home for gentle, patient-focused dentistry in Allen, Texas. 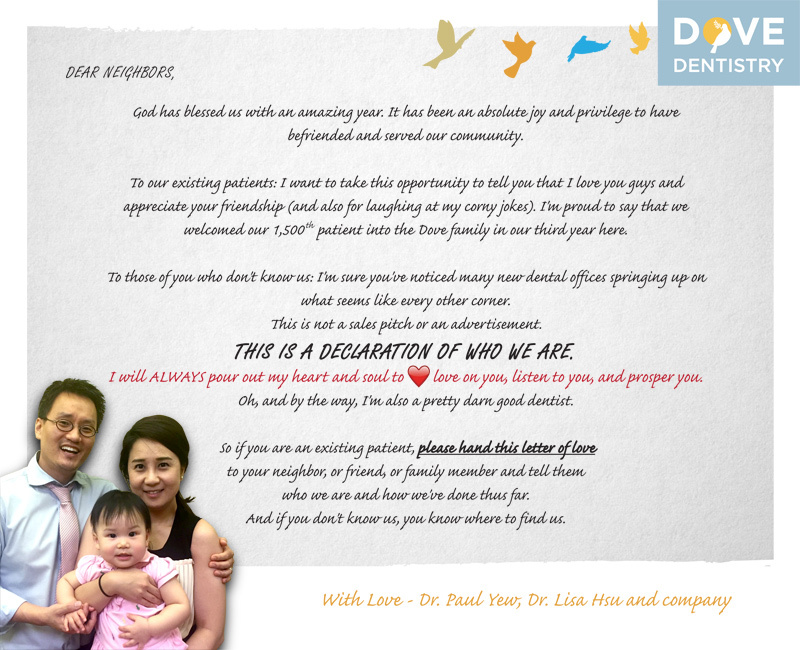 Our dentists, Lisa Hsu, DDS and Paul Yew, DDS, make their goal to create a relaxing and peaceful environment where patients feel at ease. We are proud to provide cosmetic dentistry and family dentistry in Allen and to the surrounding townships of Fairview, Frisco, McKinney, Prosper and the greater area of Collin County. Dove Dentistry is happy to see patients throughout the week, even on days our office is typically closed -- including weekends. Contact our office today to schedule your next appointment! We put a lot of thought into every aspect of the office, right down to the name. Dove symbolizes new beginnings, peace, gentility, purity, and serenity. We want to instill all these qualities in your dental experience. Drs. Hsu and Yew, and their whole team, are customer-oriented; your happiness, comfort, and oral health are our priorities. During your first dental appointment, Dr. Hsu and Dr. Yew perform a comprehensive check-up, including taking digital x-rays, to get a good idea about the condition of your oral health. At this appointment, you’ll be able to tell our dentists about your concerns and treatment goals, so that your oral care plan can be created to match your needs. When caring for patients’ smiles, we utilize top-of-the-line equipment to ensure high-quality results. We are proud to introduce the VistaClear™ system, which purifies every drop of water used in treatment, in addition to other filters that purify and soften the hard water that comes from the tap. We also use Isolite™, which provides hands-free light and comfortable suction, allowing Dr. Hsu and Dr. Yew to better control treatment and your comfort. Our state-of-the-art office utilizes the very best technology, including digital radiography, for improved precision when diagnosing and treating dental conditions. We even offer oral conscious sedation for patients who experience dental anxiety. By offering a cozy environment and supplementing treatment with sedation dentistry and advanced technology, we continue to make your relaxation and comfort one of our most important achievements. Visit our Allen, TX Dentist Today! Going to the dentist doesn’t have to be a chore. We provide comfortable chairs in our operatories and mounted televisions to make your visit worry-free. Our friendly and welcoming staff works with you to help you achieve a smile you can feel good about. We also offer convenient hours, mornings and evenings, to accommodate your busy schedule.